Hi. I'm Andrew Swift. I've been making beer for over 10 years and drinking it for far longer. 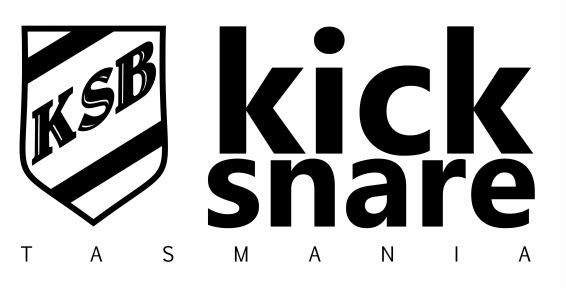 kick|snare brewing is a new project which seeks to blend a couple of my passions in life: music and craft beer. Music has always been a big thing for me, starting with piano lessons at age 8, then progressing into drums in my teens, discovering the world of grunge music in high school. I met my beautiful wife in college and we married young as uni students, now sharing three kids. At university I studied a Bachelor of Performing Arts (music) and focused on the drum set. I gained a serious respect for jazz and gained some technique, along with many new friendships. The progression into the Bachelor of Teaching seemed natural. At present, I've been teaching in the secondary setting for over ten years and have kept the sticks busy with jazz / dance band, The Jam Plan. Beer has always been a strong interest. I still remember my first: a Boags Draught, gifted to me by my father after a hot day cutting fire wood together. From this point I followed my curiosity, inquiring into the differences between the many big commercial beers available. To my disappointment, the difference seemed minimal. This begged the question why do some Australians identify so strongly with these labels?! Then I discovered handcrafted, small batch beer and learned that beer can have all kinds of different flavours and aromas when the brewhouse is allowed to be run by creative-types (rather than accountants!) and I stopped drinking from the stubby (70% of your sense of taste comes from using your nose!). Entering this game from a homebrew background, I committed not to purchase everything off the shelf, but to building a simple system by adapting ex-dairy equipment as I had seen done at another local brewery, Seven Sheds. After many months of tinkering, the completion of our first batch resulted in hoots and high-fives as the system efficiency proved far better than expected - along with the exceptionally-fine quality of the ale produced. Most days I'm asked "how's the brewing?" which is a more complicated question than it may seem with so many irons in so many different fires. To be honest, some days I'd rather chuck it all in - while on a good day I wouldn't trade it for anything. It's my great privilege to be at the helm of such an adventurous undertaking and I'm well-rewarded most days by a schooner of our ale and the satisfaction of our punters.